Canada's Bruce Power and Ontario Power Generation (OPG) have signed a memorandum of understanding to work together to ensure the continued long-term supply of cobalt-60 by expanding production to the Darlington and Bruce A plants. Cobalt-60 is used to sterilise single-use medical devices including sutures, syringes, surgical gowns and masks and implantable devices such as orthopaedics, stents and heart valves. Most of the world's cobalt-60 is produced by the irradiation of cobalt-59 in Candu reactors, a process taking up to three years. Bruce Power and OPG already work with Ottawa-based isotope supplier Nordion to produce about 70% of the world's supplies of the medically important isotope from the Bruce B and Pickering Candu reactors. OPG's six-unit Pickering plant is due to close by 2024, as the company moves towards completion of a ten-year project to refurbish its four-unit Darlington plant. Bruce Power is also preparing for refurbishment of six units at the Bruce nuclear power plant in a program which will see all four Bruce B units - also known as Bruce units 5-8 - as well as two of Bruce A's units (Bruce units 3 and 4) taken off line for between 36 and 54 months each over a 13-year period beginning in 2020. "In order to maintain the health and safety of hospital patients, we need to make sure there will not be a shortage of cobalt-60 once Pickering reaches its end-of-life in 2024", OPG president and CEO Jeff Lyash said. "By working together with Bruce Power, we will look for innovative ways to expand our cobalt-60 production to the Darlington and Bruce A facilities," he said. Mike Rencheck, Bruce Power’s president and CEO, said a joint working group will be established with goals related to isotopes and the medical applications of nuclear technology to secure the supply of cobalt-60. "Bruce Power and OPG will continue to engage and advance these areas of cooperation," he said. Bruce Power recently harvested 24 cobalt-60 rods during a planned maintenance outage of Bruce 7. 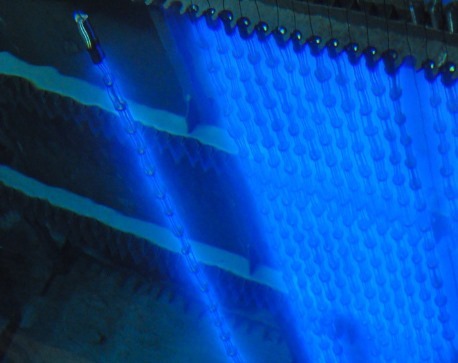 During the outage, the unit will be loaded with the first rods for the production of high-specific activity (HSA) cobalt-60 which will stay in the reactor for about two years before being harvested and sent to Nordion for processing under an agreement signed by the two companies in 2015. Also referred to as medical-grade cobalt, HSA cobalt-60 is used in cancer treatments, particularly the precise treatment of brain tumours. For the past 60 years Canada's supplies of the isotope have come primarily from the country's National Research Universal reactor, which is now scheduled for closure.